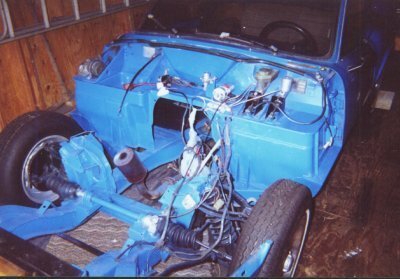 This is how the car stands January 2001. The car is being stored in a shedout of the harsh Pennslyvania winter. Everything has been cleaned, wire-wheeled, sanded, primed then painted. Almost ready to be reassembled!